After three generations, Regine’s Salon continues the family’s tradition of offering personal and quality service. 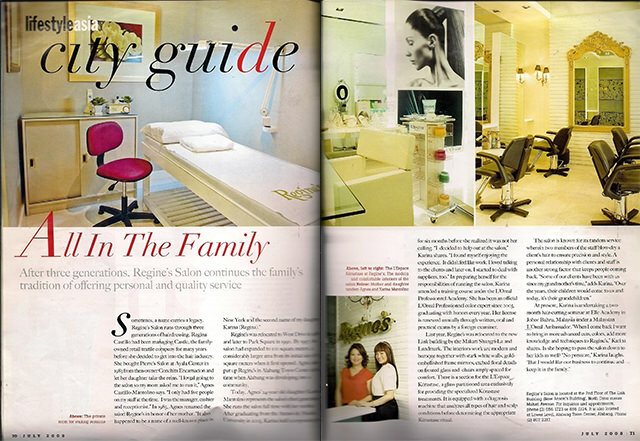 Lifestyle Asia talks about how the salon is “All In The Family”. No time for a phone call? Book your appointments with Regine's Salon online! All you have to do is fill our the Online Appointment Form for either Makati or Alabang.